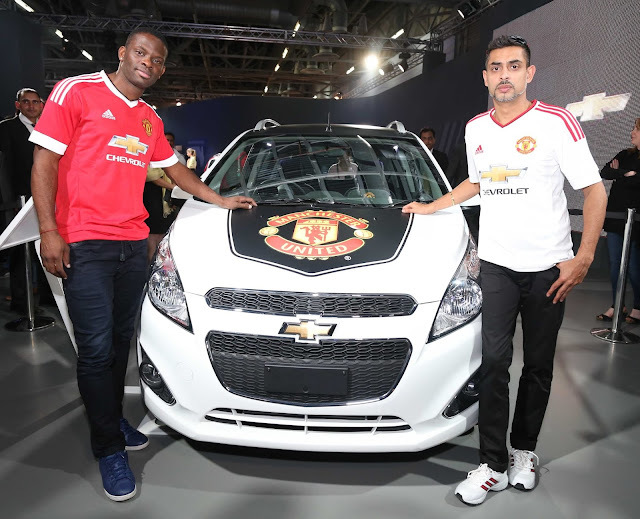 New Delhi, 7th February 2016: Manchester United Legend Louis Saha recently, enthralled his fans at the Chevrolet Pavilion by engaging in a virtual football game and signing Chevrolet- branded Shirts. His appearance at the Chevrolet Pavilion at the 13th India Auto Expo was highlighted by huge support for the club with fans getting a once-in-a-lifetime opportunity to meet and greet the star footballer. Saha’s presence at the Chevrolet Pavilion was a highly anticipated moment for the club’s followers in India, and for Chevrolet India. The united legend on the occasion said that he would like to thank Chevrolet India for giving him this unique opportunity to meet Indian fans. It’s great to see that Chevrolet is honouring the club’s past and involving the supporters in such an innovative way. In addition, the Chevrolet pavilion also showcased 2 exciting games, the Passibilities and Colorado Co-Driver that kept the visitors engaged through-out. The unique customer activations continue to enrich Chevrolet’s brand value, brand commitment and unique opportunities for all auto and football enthusiasts.